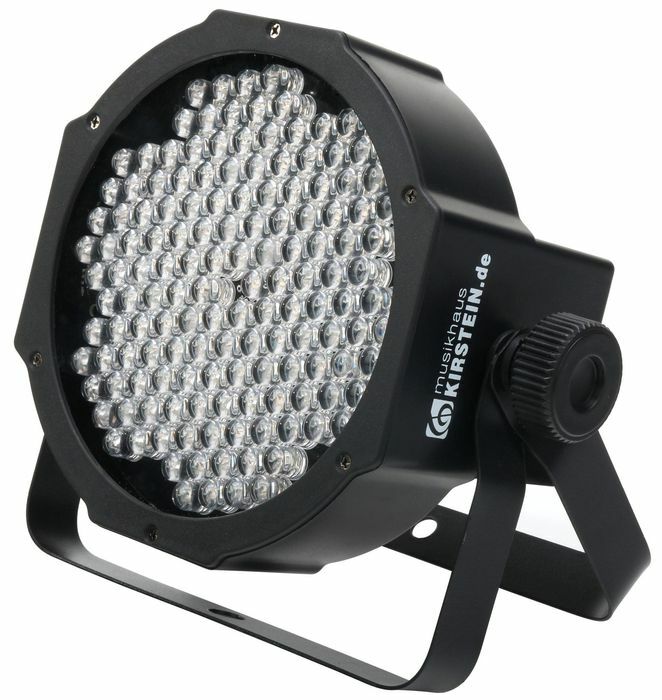 Extra powerful and bright shining lights with 10mm LEDs as a stagelight, backlight or punctured setting accents on stages, halls or clubs. 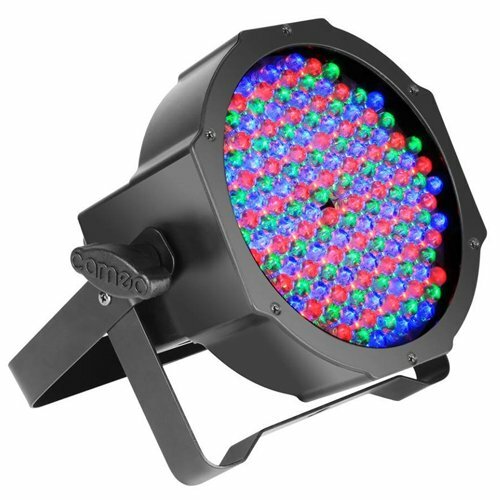 With the RGB technology can be any colour mix continuously. 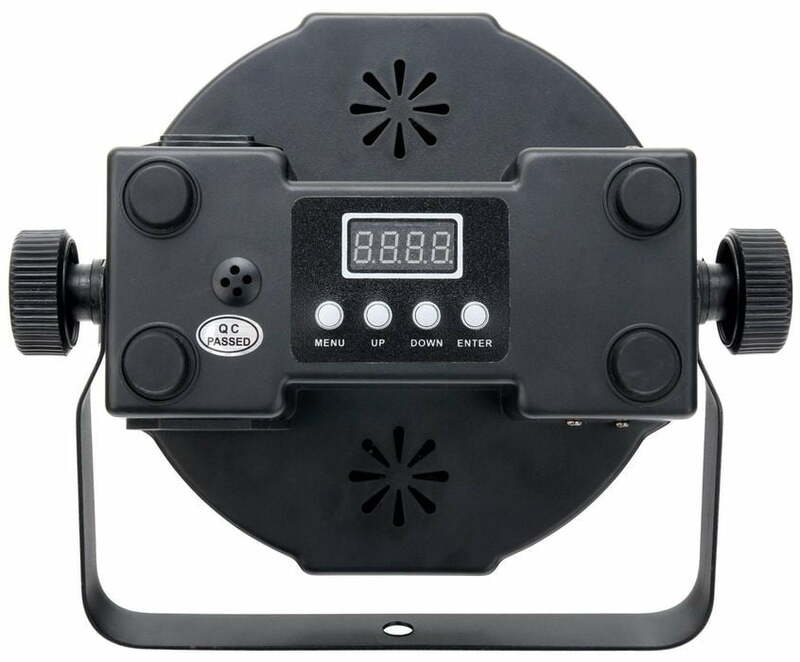 The headlights can be controlled with any standard DMX controller or operate with the built-in stand-alone functions. Colour change speed via rear switch. Of course, the Flatline can also be clocked by the internal microphone for ‘sound-to-light function. Latest LED-technology: extremely long life LEDs, low power consumption, minimal heat emission, maintenance free with brilliant light radiation! Save money with IEC Power-Link Outlet! Thanks to in-built IEC outlets, several FLP-144 can be connected together via serial connection to save the use of power outlets. 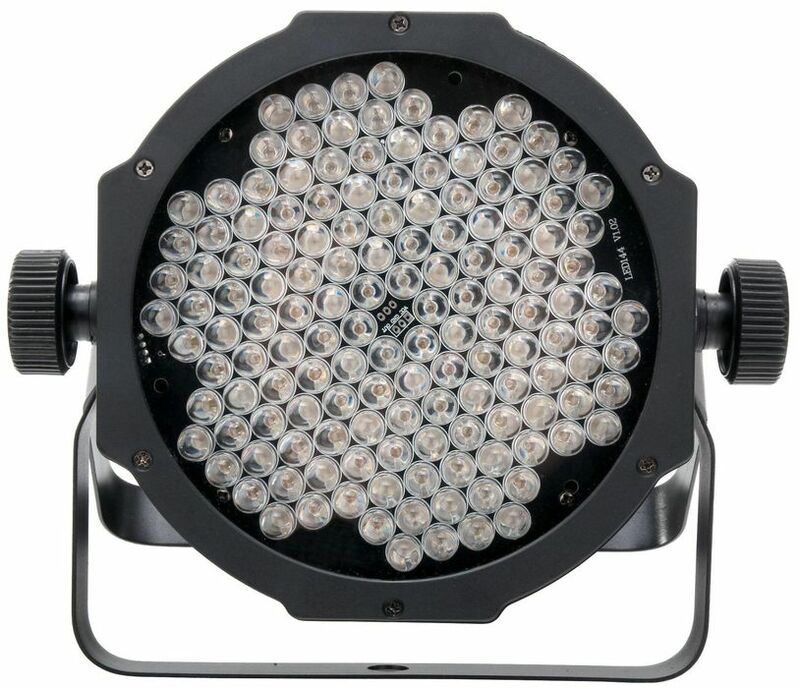 With a weight of only 1.5kg and its small size, the FLP-144 proves to be a lightweight and ultra compact spotlight. PRICE: JUST €55.00!! And very, very BRIGHT!! !